A special career-readiness event for economics students, “Women in Economics and Leadership” was held on May 17, 2017. 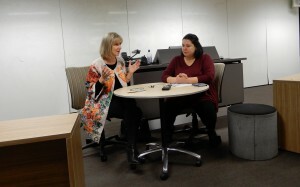 Dr Duygu Yengin, Deputy Head of School of Economics, interviewed our special guest Carolyn Hewson AO, company director and former investment banker and Honours graduate of the School of Economics, University of Adelaide. Ms. Hewson is a non-executive Director of two listed Australian companies – BHP Billiton and Stockland Group. She has also served as a Director on the Boards of the Australian Gas Light Company, AGL Energy, AMP, BT Investment Management CSR, South Australia Water, the Economic Development Board of South Australia and Westpac Banking Corporation. 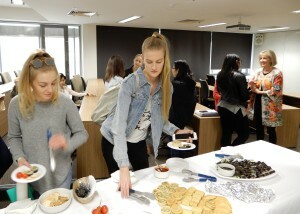 The event was highly successful, where students got a chance to ask their questions to Ms. Hewson, and enjoy some light refreshments and networking after the interview.